Zac played representative rugby league and also competed in state track and field events, 100m sprint and long jump. 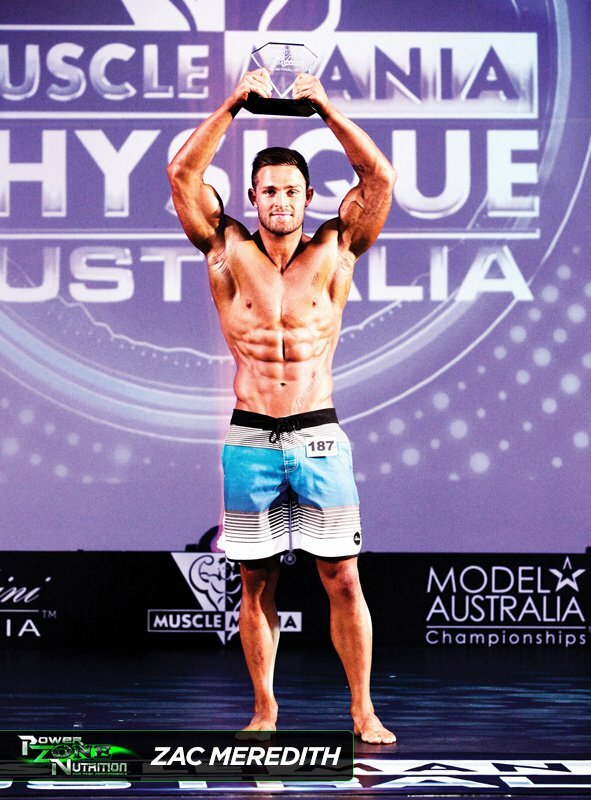 He had a passion for weight training and athletics from a young age and made his debut in his first Physique Competition at the 2014 Musclemania Australia on the Gold Coast where he placed 1st in the Junior Physique Class. 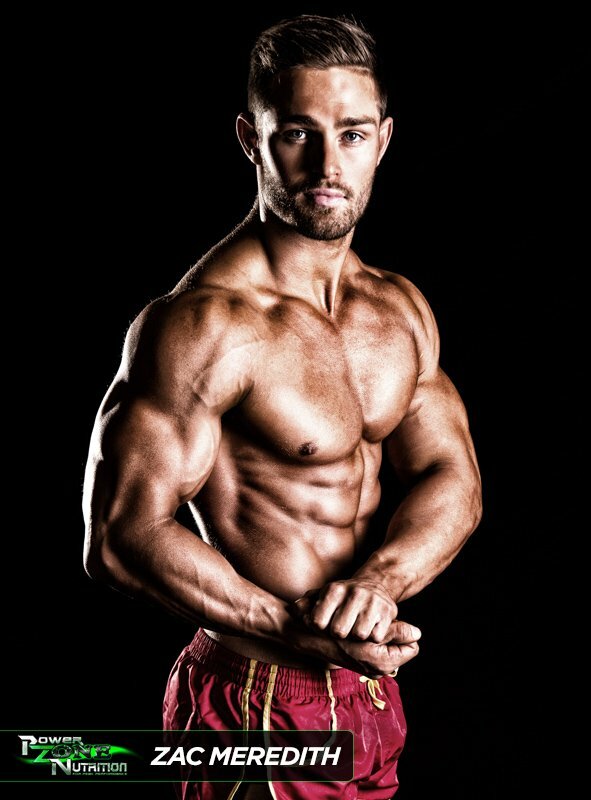 Zac has his own Personal Training Business where he specializes in body transformation, nutrition plans, training plans and contest preparation. On Saturday he just hits his weakest points. In the final four weeks leading into comp he trains abs every second day for up to forty minutes. 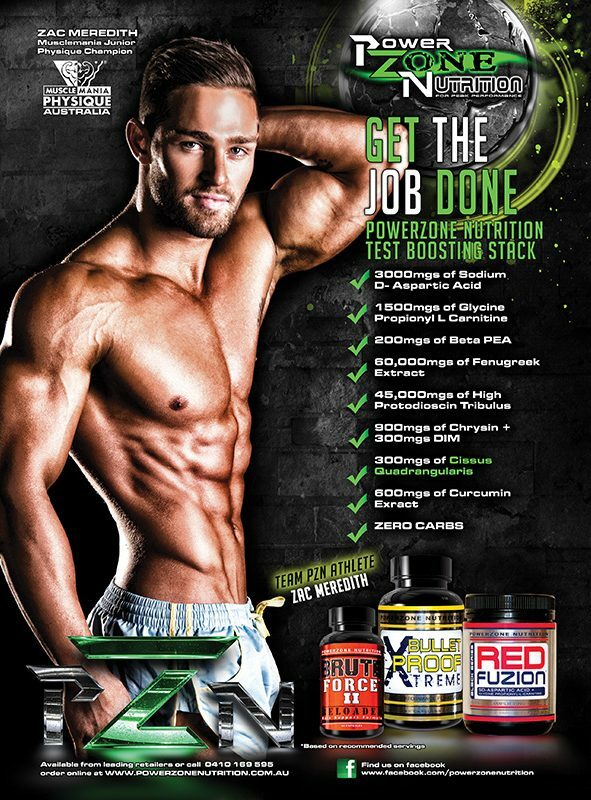 On a daily basis he uses Brute Force II, Bullet Proof XT, After Shock XT, Leukadron XT, HGH Formulation & Red Fusion. In the weeks preparing for competition, he adds supplements ALC, Lipo Fusion XT & 7 Keto Formulation to etch in the final detail into his physique.